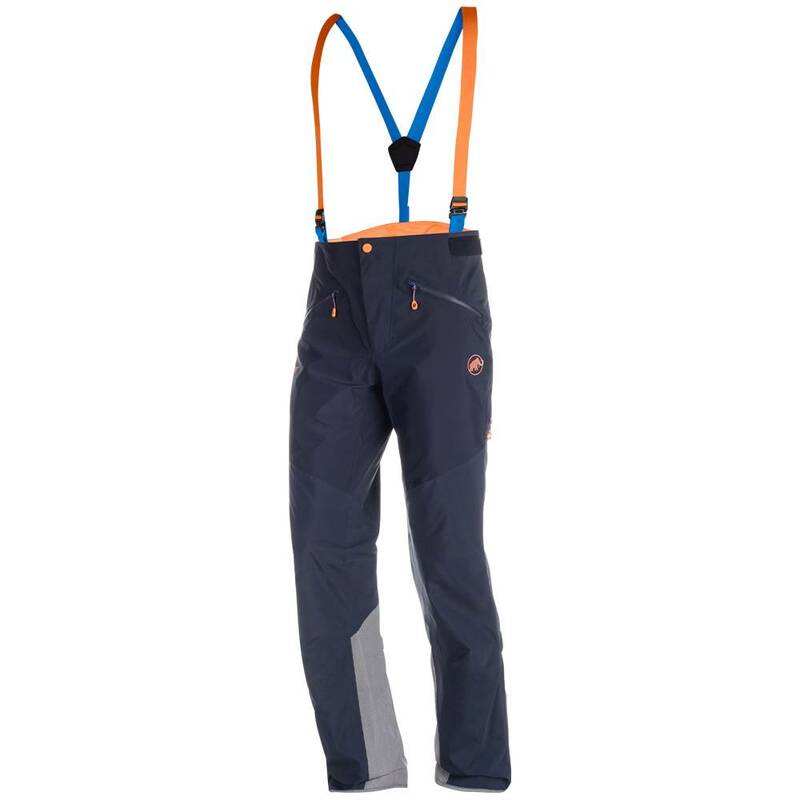 Made from GORE-TEX® Pro 3Layer, the Nordwand Pro HS Pant for men is durable, waterproof and straight up burly, ready for the most extreme mountain conditions. 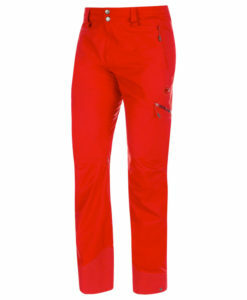 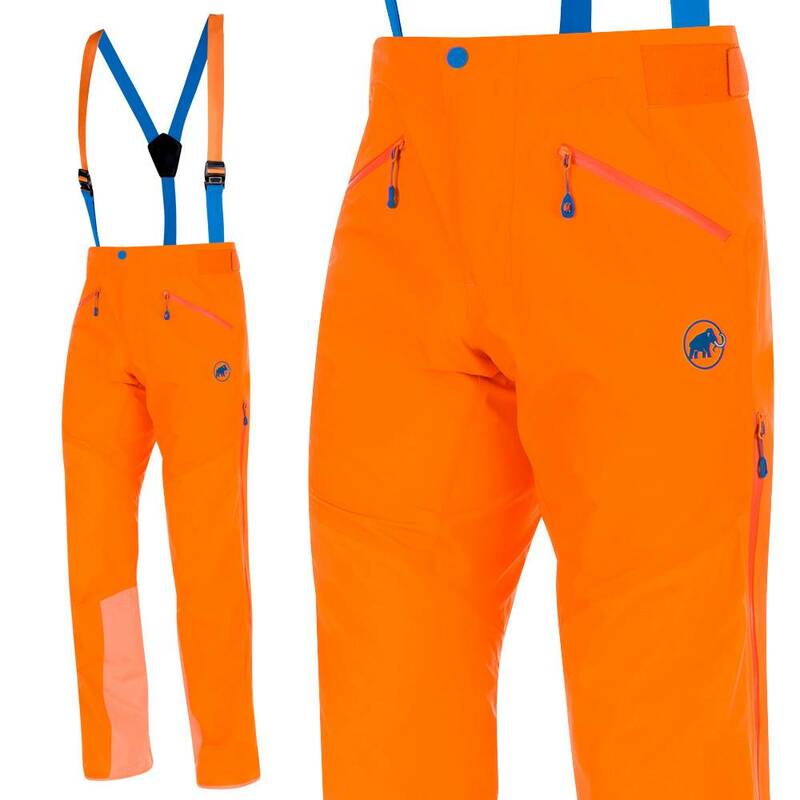 Stretch panels give these ski pants from Mammut excellent mobility where you need it without compromising protection. 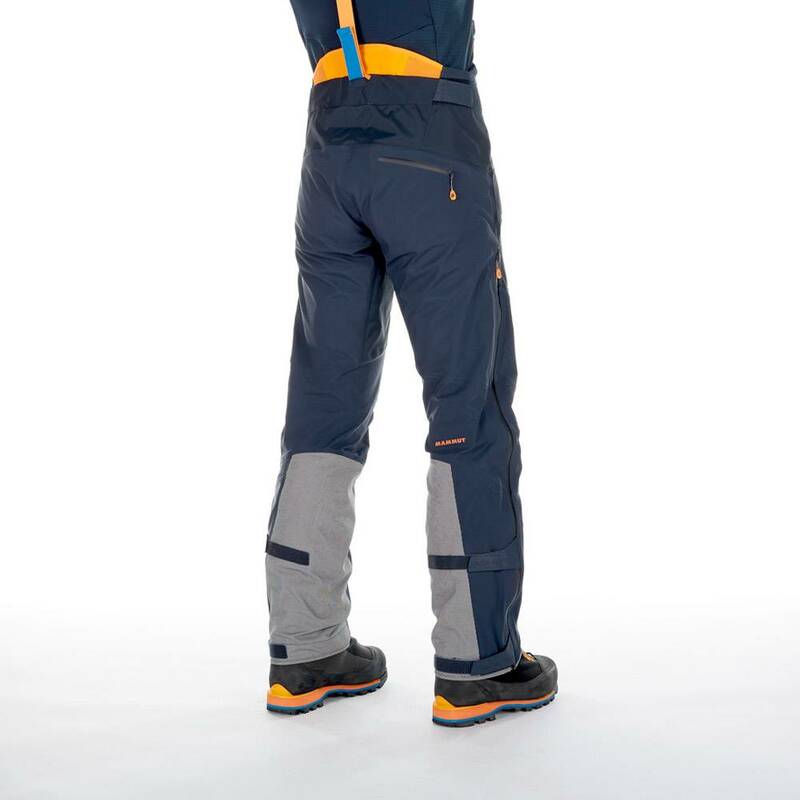 With a unique waist adjustment gives the perfect fit and lets you adjust quickly to layering and weather changes. 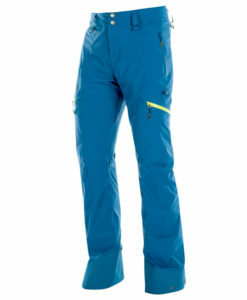 While extremely breathable, the Nordwand Pro HS Pant retains body warmth better than any other shell pant available. 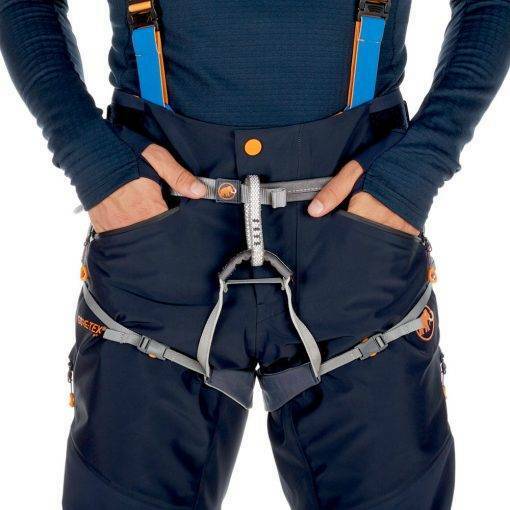 With two-way side zippers for easy on and off as well as allowing for ventilation while hiking then a quick zip and you are fully sealed. 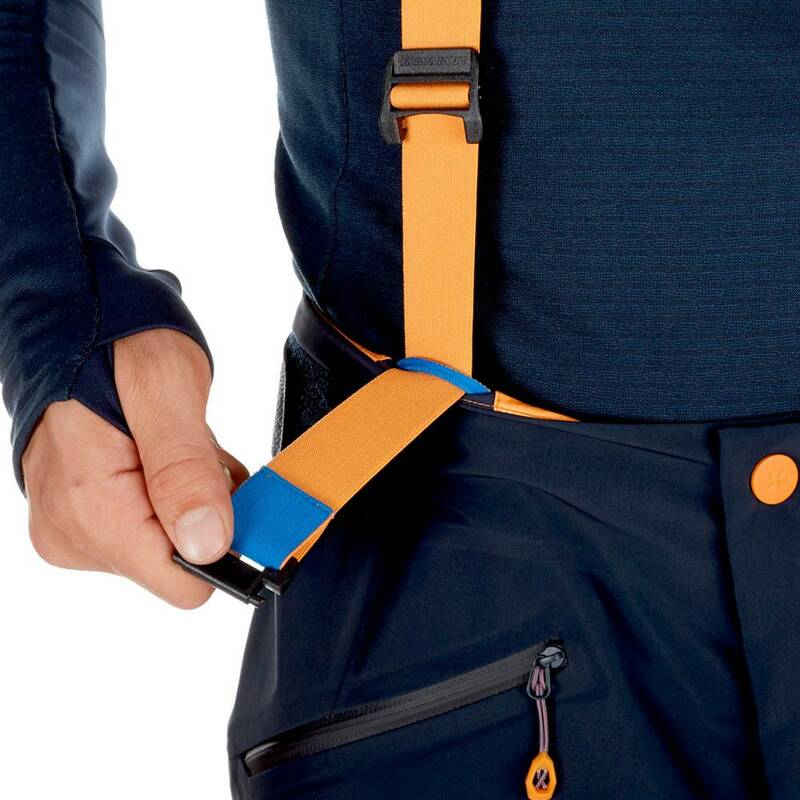 The raised waistband features external adjustments and a moisture-wicking Coolmax lining to help mitigate sweat from your pack. Additionally, the snow gaiters accommodate mountaineering boots as well as ski boots, and Mammut reinforced the external cuffs with Dyneema for crampon protection. These pants are more than just ski pants, they are full alpine pants ready to take on anything from the Cassin Ridge on Denali to the Gervasetti Pillar on Mount Blanc. 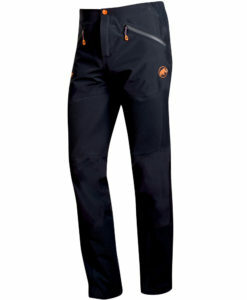 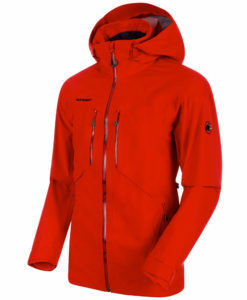 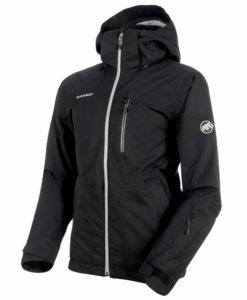 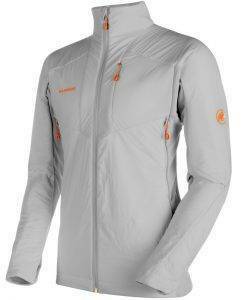 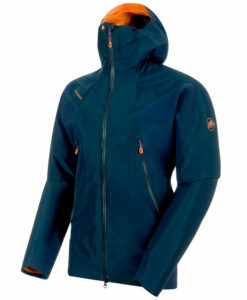 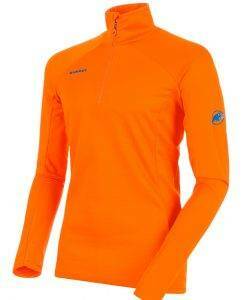 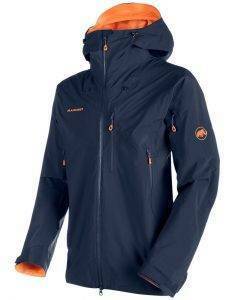 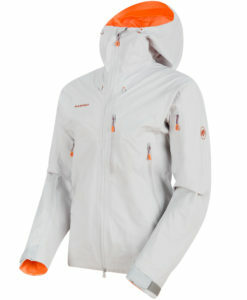 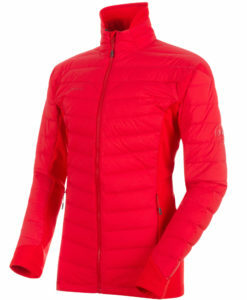 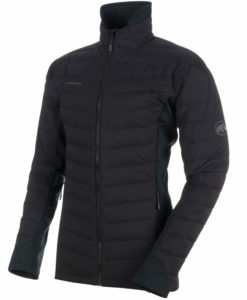 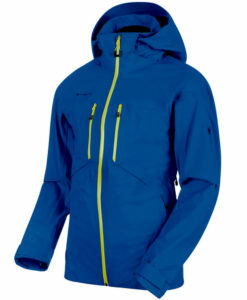 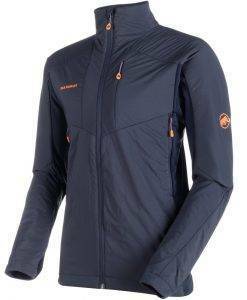 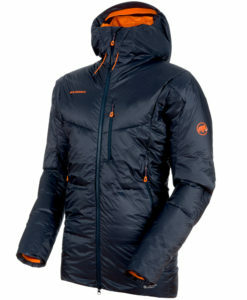 This pant attaches to Mammut’s Nordwand Pro HS Jacket for complete coverage.